While visiting New York recently, I stayed in an apartment located only two blocks from Central Park. It is sometimes snowing in February. 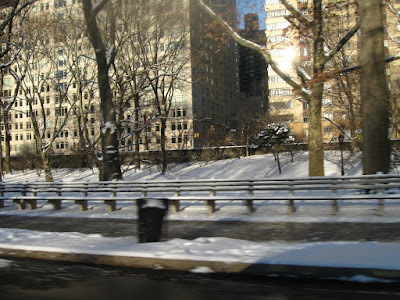 Everyday I passed this famous park, seeing the snow covering trees, grounds, benches etc. One night, Coen Husain Pontoh, an old friend from Pantau, accompanied me to have an interview with a broken man. It was a difficult evening. There was a snow blizzard. We have to take a taxi. The interview was pretty bad. What I met was a dead man alive! 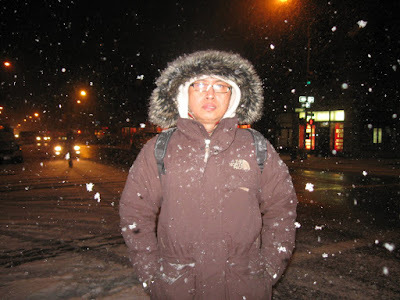 ah travellling around the world meet new people is my dream...salam merdeka!